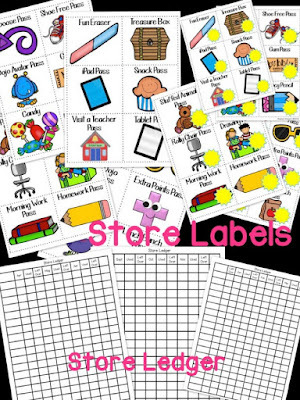 Do you have a class store? 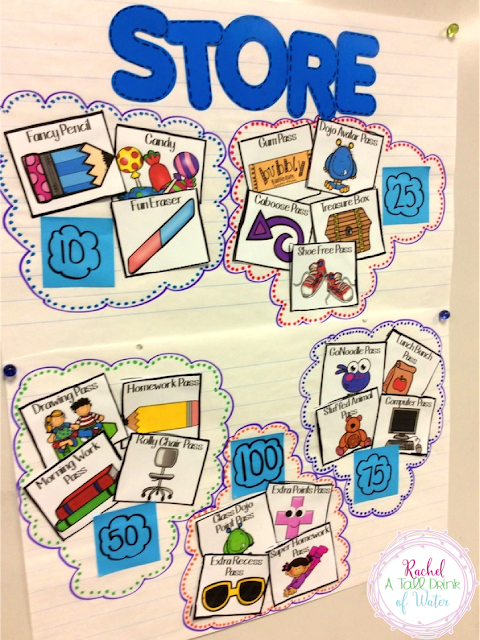 Is your class store too much work? 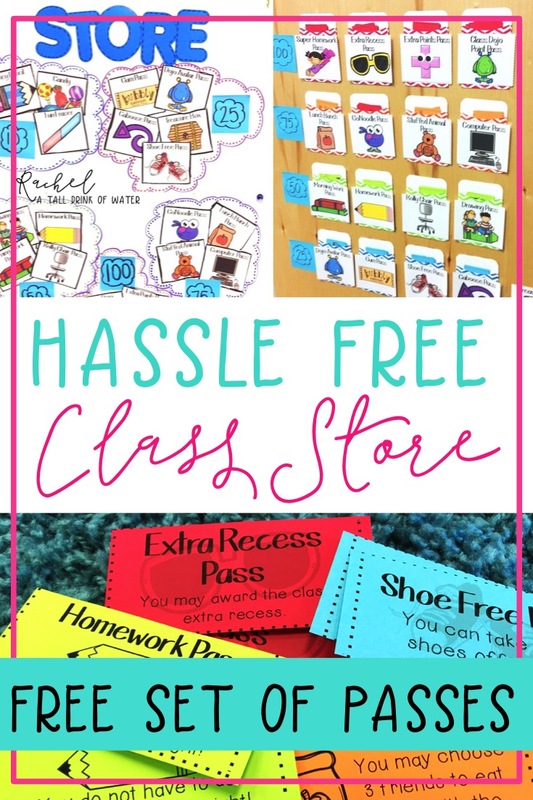 I'm sharing how I run my class store that is super easy and hassle-free! First of all I use Class Dojo as our currency, but you can use anything you wish! here is a Pinterest board with some more information. I don't have the patience to keep up with paper money! 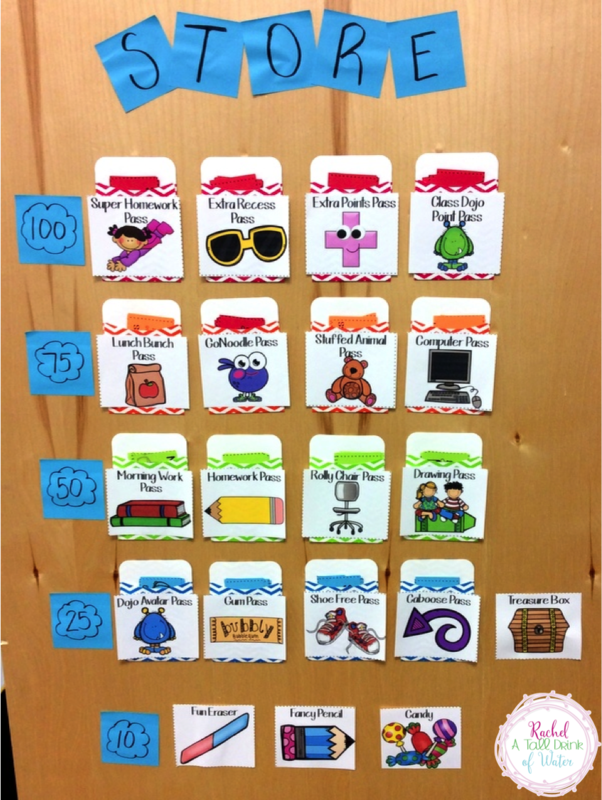 My students "collect" their points for an entire month. 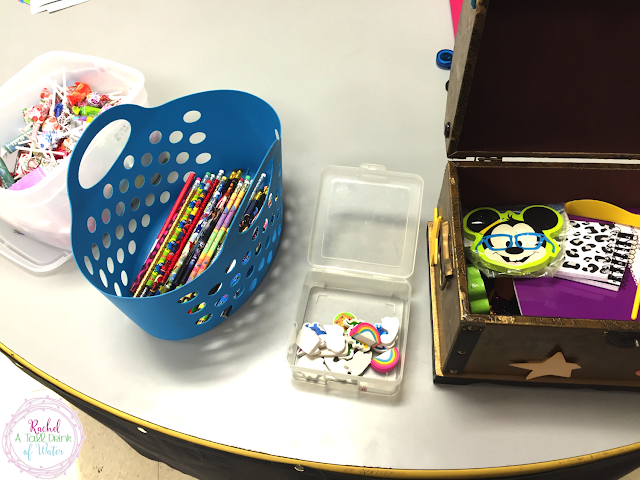 Students then spend their Class Dojo points in our class store! I only open the store once a month. It's just too much work to open it more often! This is on the back of my closet door. All it is is paper, sticky notes, and library pockets! The best part of our store, is 80% of their purchases do not cost me a thing! The passes are the most popular items in our store! I do have pencils, erasers, candy, and a treasure box full of trinkets. But I'm telling you, I haven't had to restock these all year! The coupons are where it's at! 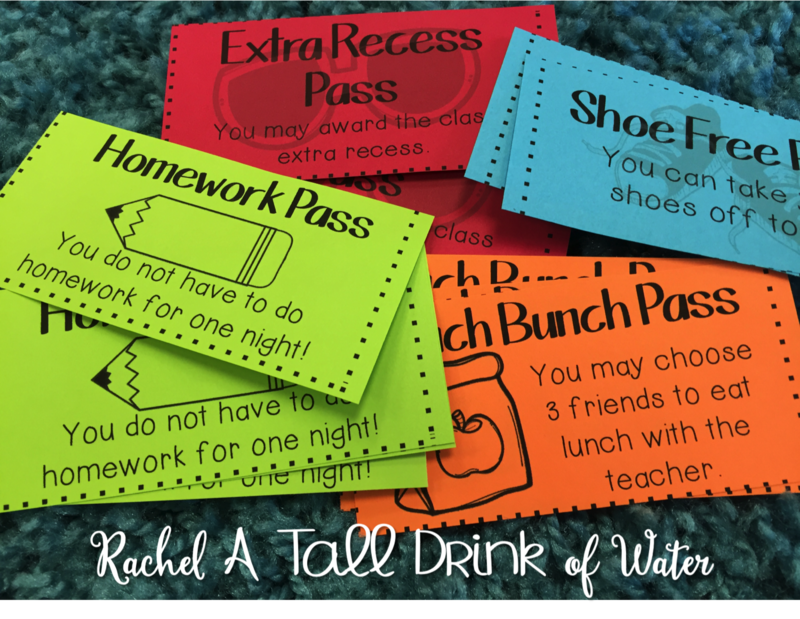 And you can grab your free set of coupons by signing up for my FREE resource library! I allow my students to spend or save their points. I have a recording sheet to keep track. This has been a great system for our class! And best of all, it's low maintenance for me! I have them available in my TPT store. I love Dojo and also have a monthly store! I signed up for your newsletter and am looking forward to reading more great ideas from you.